Published by Park Life and Headlands Center for the Arts. Design by Boon Design. 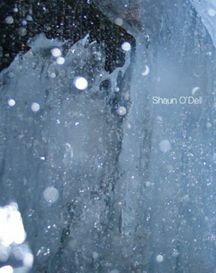 Shaun O’Dell (Tournesol Awardee ’09-’10) presents a new artist’s book as the culminating project of his Tournesol residency. O’Dell is 7th artist to receive the prestigious award, which provides a Bay Area painter with a year-long residency at Headlands and a cash prize. The release party features music by O’Dell and friends.